Von Duprin’s beginnings were based in solving a serious problem. In 1903, tragedy struck the Iroquois Theatre in Chicago when nearly 600 people lost their lives due, in part, to locked exit doors. The doors were locked to keep out those who did not pay to see the show, but in doing so, prevented those inside from escaping should anything go wrong. Carl Prinzler, a manager at Vonnegut Hardware Company, was horrified by the tragedy and with the help of his neighbor, Henry DuPont, set about developing a means to opening doors from the inside while keeping them locked on the outside. From their collaboration came the “panic bar” exit device, a design that continues to this day. The Von Duprin brand came together from the melding of the Vonnegut, DuPont, and Prinzler names in 1908. Our inventory includes all models and accessories in up to eight different architectural finishes. 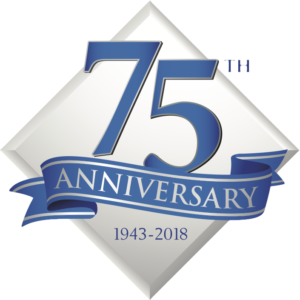 For over 75 years, Glynn-Johnson has been producing high quality door control hardware that deliver consistent quality and performance. Their full line of overhead door holders and push/pull latches are manufactured using state-of-the-art technology and processes. We stock the entire line along with the complete line of HL-6 push/pull latches. One of the most well known and popular lock brand names in the country, Schlage was founded in 1920 by Walter Schlage in San Francisco. Over time, it grew in size, eventually buying up LCN Closers and Von Duprin before it was acquired by Ingersoll Rand in 1974, where it remains to this day. Throughout Schlage’s history, it’s turned out high quality, durable locks, security equipment, and more. We stock a broad offering of magnetic locks, power supplies, and accessories. LCN’s history sprang from a church’s doors banging in the wind when Mr. Lewis C. Norton was employed by the Bishop at Boston Trinity Church to put a stop to the noise in 1880. To that point, nobody had addressed the general problem of slamming doors, but Mr. Norton tackled the problem head on. His first attempt was deemed unsuccessful by the Bishop; in a fit of anger, Mr. Norton slammed a closet door shut and happened upon a discovery that would launch a brand. The build up of air pressure in the closet prevented the door from slamming shut! The first Door Check was invented by Mr. Norton shortly thereafter and LCN was born. Our inventory covers the entire product line including the 4041P in ten architectural finishes and the entire offering of low energy operators. For over 120 years, Ives has been producing quality building hardware. Customer service and product quality are the foundations upon which the company was founded by Hobart B. Ives long ago, but they remain the cornerstone of the company’s vision today. Our inventory features pivots, hinges, flush bolts, coordinators, and the entire line of stops and holders. Creating Conestoga wagon wheel rims and hardware marked the early beginnings of Charles Hager, a German immigrant blacksmith making a name for himself in St. Louis. In 1878, Charles’ blacksmith shop became C.Hager and Sons Hinge Company and in 1894, they started producing hinges for Budweiser beer cases, a new brand of beer at the time. Hager’s hinges went into the construction of the Panama Canal locks. Hager’s long history of quality door hardware carries on and remains a Hager family operation. The entire product line is available from us. Falcon has been producing reliable lock hardware for over 40 years at reasonable prices and offers one of the most extensive lines of lock hardware in the industry. In 1997, Door-O-Matic was acquired by Falcon’s parent company, Ingersoll Rand, and integrated within Falcon. The entire line of Dor-O-Matic exit devices are in stock and available for your Storefront applications. Founded in 1946, Rockwood Manufacturing offers one of the broadest lines of custom designed pull handles and door trim hardware in the industry. The attention to detail and design make an architectural opening a grand entrance. Rockwood also has an extensive line of accessory hardware.